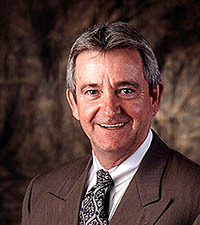 SEMA Hall of Fame - Bob Cook, 2008, Bob Cook Sales. Honesty and integrity. When those words are repeatedly applied to one man by respected contemporaries, they develop deep significance. To those who know him best, Bob Cook is the essence of honesty and integrity. Cook grew up in west Georgia and moved to Atlanta when he was eight years old. His parents had already parted company by that time, and his mother was raising four children on her own. Cook was fortunate to find a mentor and surrogate father in his older brother, who shared his fondness for cars and racing. His brother also provided some discipline, such as the time Cook wanted to quit school when he was 16 in order to get a job and buy his own car. His brother threatened physical mayhem, and Cook kept at the books. After graduating from high school, Cook studied to become an attorney at John Marshall Law School in Atlanta. He attended classes at night, working during the day. Instead, Cook parlayed his day jobs and his passion for cars into one of the most honored careers in the automotive specialty-equipment industry. He began as a delivery boy for a NAPA store called Redman Auto Parts—the only independent NAPA store in Atlanta. He moved from deliveries to stock clerking and eventually to the counter. When two of his fellow countermen left Redman to open their own parts store down the street, they lured him away. From there, he went to work at a warehouse that dealt primarily with small-engine ignitions and carburetion. The carburetion link was further strengthened when he went to work for Holley Carburetor. 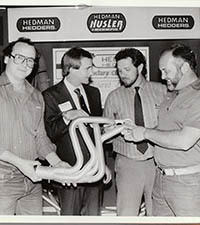 The Holley factory team also represented the Edelbrock line, and Cook joined several of the crew in breaking away to form a national rep firm called Performance Marketers Inc. in 1974. With a few years of the rep experience under his belt, Cook started his own agency in June of 1979—which, it turned out, was not the most auspicious time to be going into a field based on automobiles without much money. In those first years, Bob Cook Sales struggled to stay afloat, paying its bills but unable to afford much else. A few key people provided Cook with opportunities that helped his fledgling company survive. Vic Edelbrock and Bob Vandergriff were Cook’s first two clients. The perseverance eventually paid off. 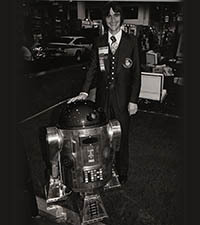 As his company grew from just himself to a two-man and finally a 14-rep business, Cook began to give back by helping to foster the industry. 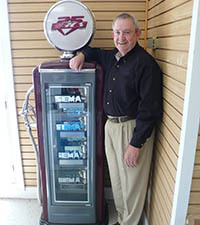 When he wasn’t on the road or working at his own company, he devoted himself to SEMA projects. His résumé of services includes three consecutive terms on the SEMA Board of Directors, as well as the chairmanships of the WD of the Year Committee, Rep Committee and Dues Review Committee. He also served on the Long Range Planning Committee, the New Products Judging Committee and the Person of the Year Committee. 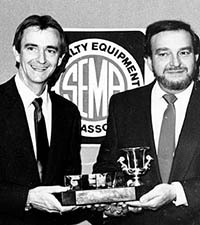 Bob Cook Sales has been honored five times with the SEMA Rep of the Year award in three different decades, and Cook has himself been a finalist for the PWA Person of the Year award nine times. He has also continuously and unselfishly given of his time and his company’s sponsorships to SEMA and PWA events and functions over the years. 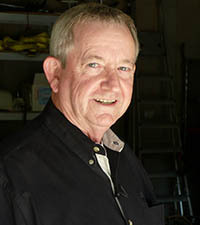 Among his finer accomplishments, Bob Cook is the father of two sons, Robby, 33, and Jeffrey, 13 (as of 2008).